Josh with Vegas PG. She might have been a Star Fleet Jag Officer. Big Wow! ComicFest was May 18 & 19, 2013. It was the first purely comic convention I had attended in years (My first “geek” convention was Time Con 1985). 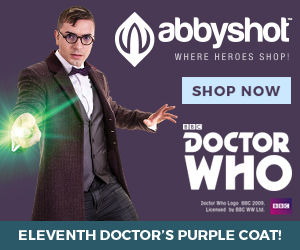 I can say no legal conference I have attended has had any attendees in cosplay. Granted, the “document review attorney” or “certified computer forensic expert” costumes might not be as entertaining as Power Girl or Conan the Barbarian. 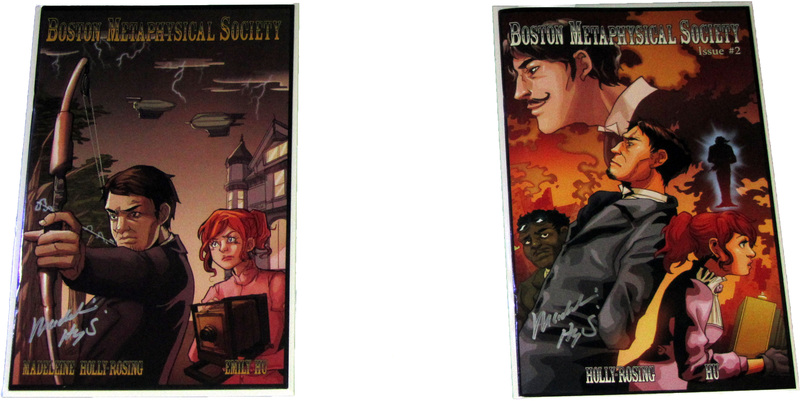 I picked up the first two issues of Boston Metaphysical Society and talked with the author Madelene Holly-Rosing. It is a 19th Century steampunk detective story involving paranormal activity in 1895. The story is a six-part mini-series with fictionalized historic figures of Alexander Graham Bell, Thomas Edison, Nikola Telsa and Harry Houdini (founders of B.E.T.H.). Think Steampunk Ghostbusters & The League of Extraordinary Gentlemen rolled into a well-written detective story. Truly a good read. The legal issues that came to me while reading the story, would be how to limit the personal liability for the founders of B.E.T.H. Granted, the 1890s was a relatively safe era to engage in clandestine operations of intellectual titans with a low threat of lawsuits. However, any competent attorney would want to form a corporation to limit personal liability of the founders. Moreover, they would want adequate insurance, if metaphysical insurance can be purchased. It also goes without saying having Alexander Graham Bell, Thomas Edison and Nikola Telsa all have intellectual property they would want to protect. All should consider Non-Disclosure and Non-Competitive Agreements. An attorney would also want to look at the Sherman Antitrust Act of 1890 to ensure Edison and Telsa do not create a monopoly on electrical power. 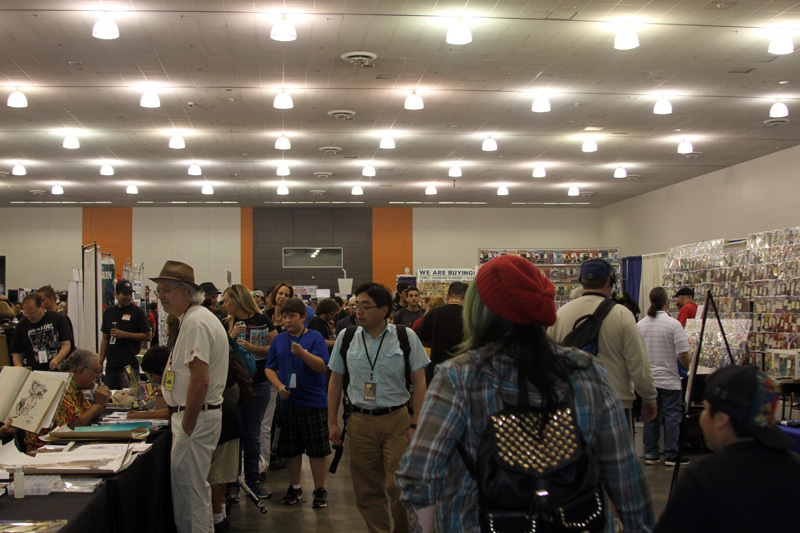 The Exhibit Hall had many talented artists, writers and dedicated cosplayers. 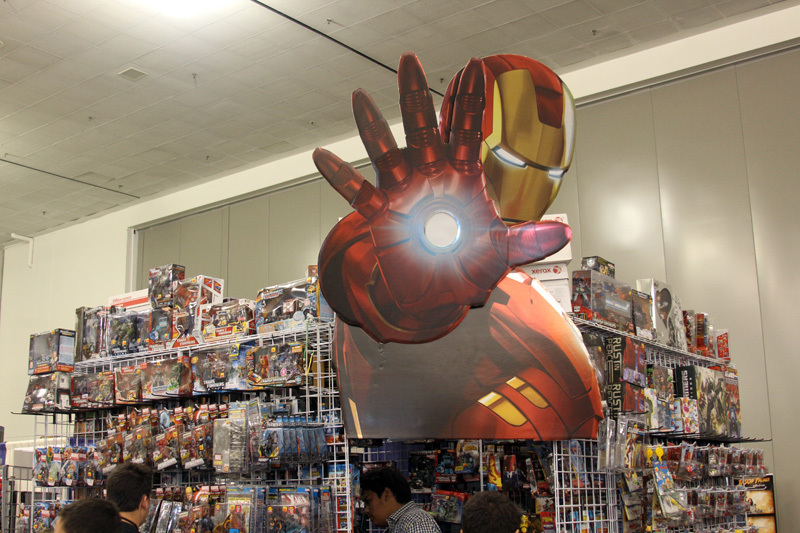 The Exhibitors also were markedly different from the legal technology shows I have attended, because it is easier to sell collectables on an exhibit hall floor over six-figure software. I was very impressed with the Exhibitors. They had the art of commerce down, with credit card transactions on iPads and Blackberrys. They were also a lot of fun to talk to. The panel discussions included everything from the History of TV Horror Hosting to Drawing Without Paper, to making cosplay costumes and a tribute to Bob Wilkins. I had proposed my Legal Geeks seminar on Han’s Legal Justification for shooting first, Firefly & Contract Law, Red Shirts & Assumption of Risk, plus other topics, but never heard back from the organizers. Next time. 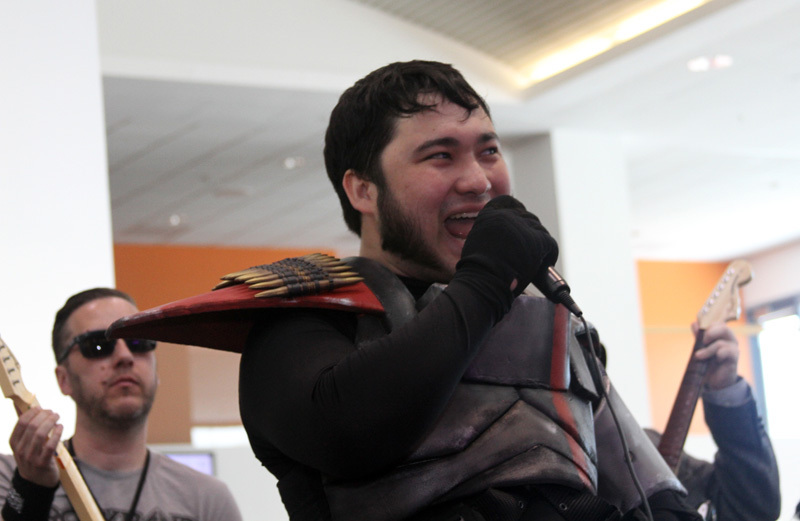 I was very impressed that the attendees really knew how to rock out. 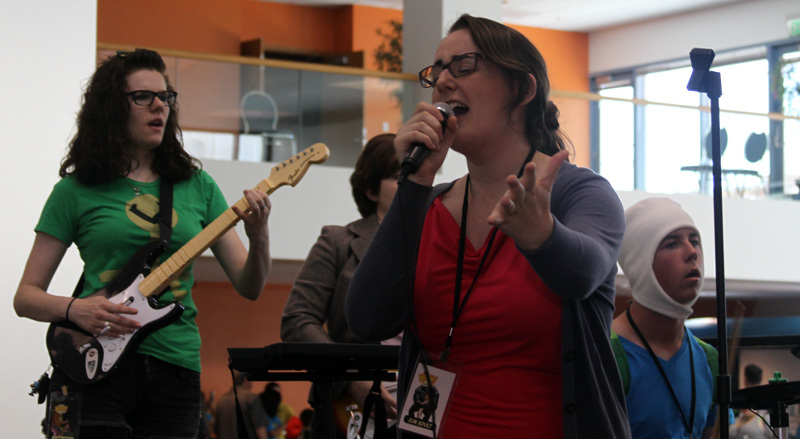 There were some amazing singers who took the mic in Rock Band, gathering a crowd while they played. Two of them were truly awesome as they sung Don’t Stop Believing and Under Pressure. I enjoyed attending Big Wow! ComicFest to see what makes a show outside of the legal/eDiscovery world successful. Both have a lot in common with having an exhibit hall and panel discussions. However, the “geek” conferences have far more creative ability to “think outside the jury box” when it comes to innovation. Legal conferences will always have a serious tone, because that is the nature of the practice of law. Clients come to lawyers because they need real help. 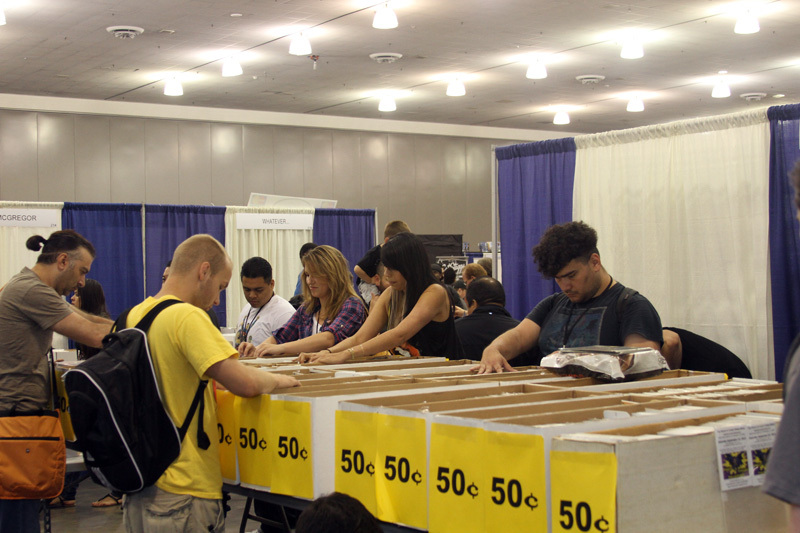 With that said, those in the legal world should look at ways to capture the creative energy of a comic book convention in planning a conference.